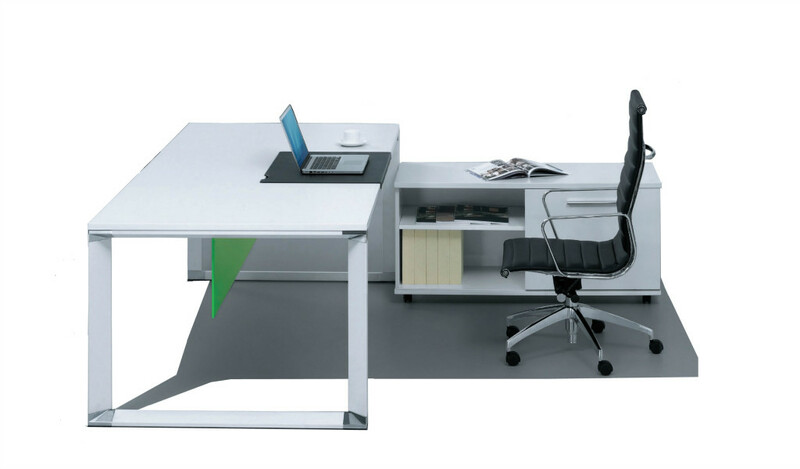 A contemporary office desk with stylishly designed black metal legs placed at a 120 degree angle. Finished in rich American walnut and white laminate it includes a side cabinet with wire management box for a clutter free worktop. 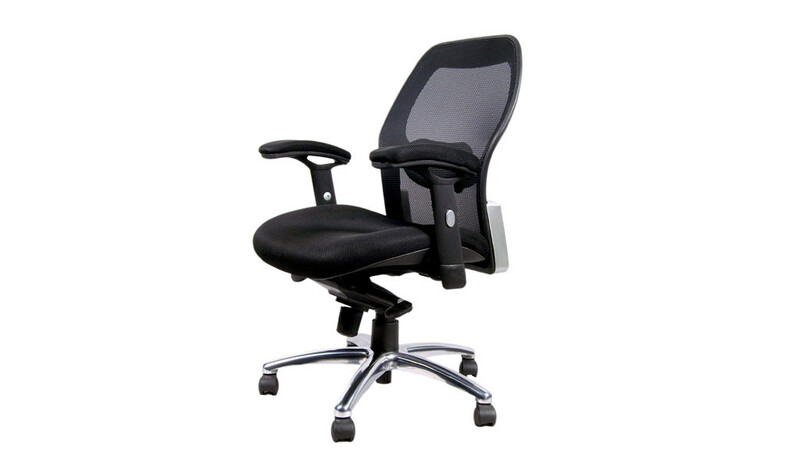 A perfect choice for modern office interiors. 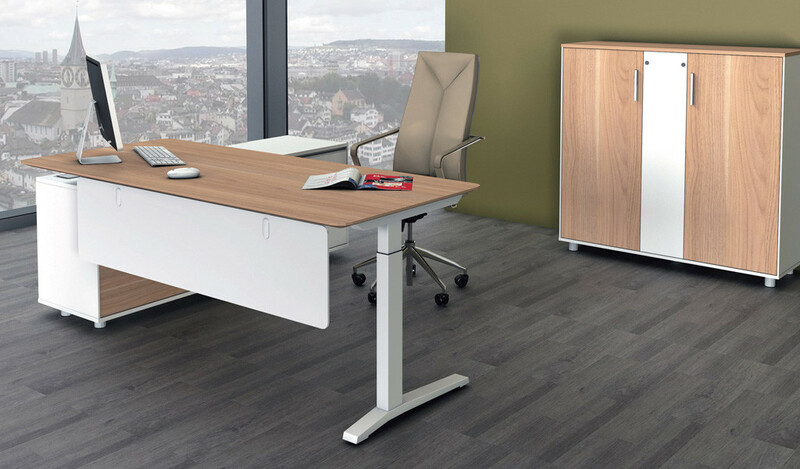 – This modern office desk looks best in its original California walnut and white laminate as seen in the picture. – A sleek 7 feet desk suitable for contemporary cabins and home offices. – 1. Main desk with modesty panel and black metal legs. 2. Side cabinet with inbuilt wirebox and wire management provision. 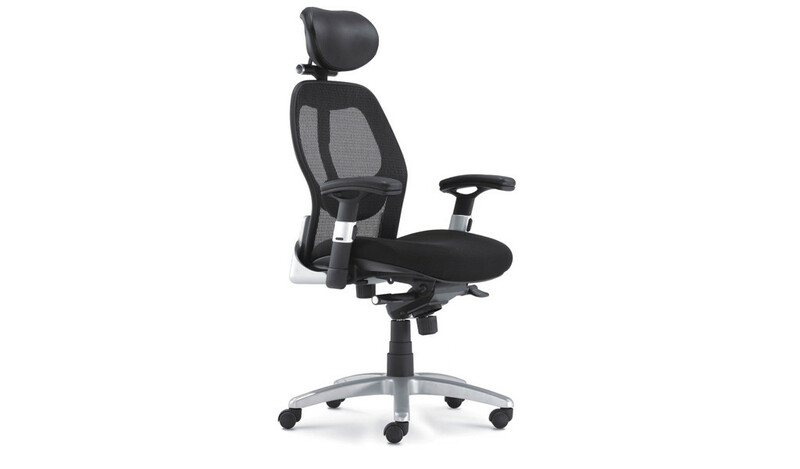 – Made using environment grade engineered wood and laminate. The E1 grade composite wood is a superb, highly durable material and a world standard for premium furniture while the laminate is from our carefully selected range of premium natural wood veneers with consistent color and grain structure. 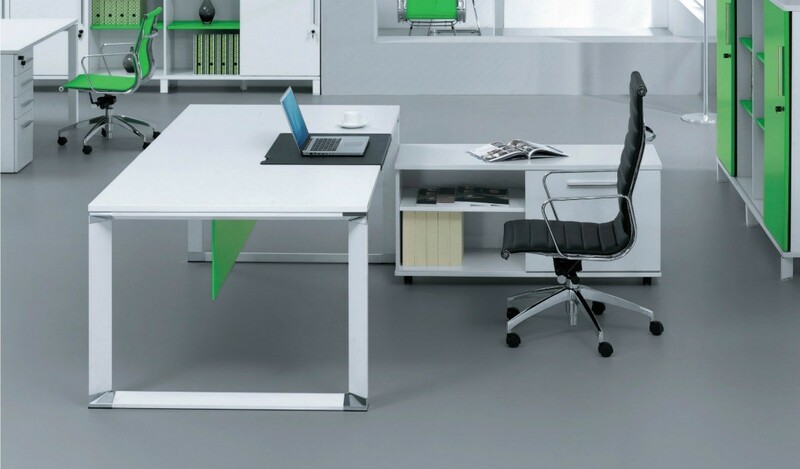 – A modern and stylishly designed 7 feet office desk ideal for contemporary office interiors. Finished in a combination of rich american walnut and white, it comes with angled black metal legs. 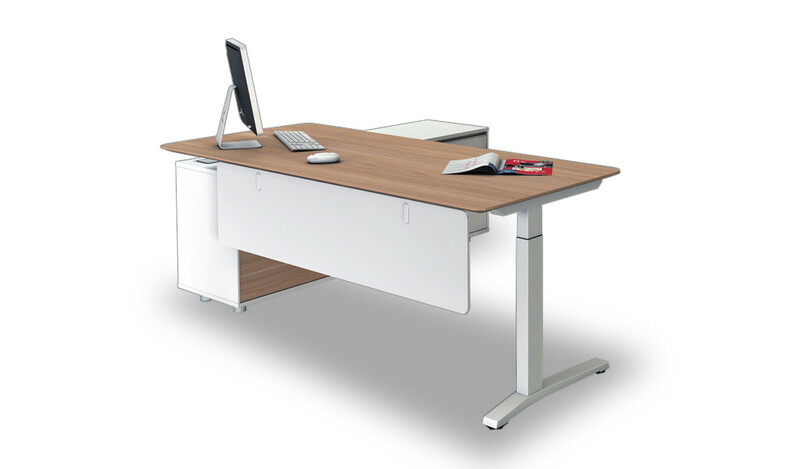 The smart executive desk also includes a side cabinet with state of art wire management system. In addition, an inbuilt wirebox, placed on the side cabinet, makes your worktop completely clutter free. 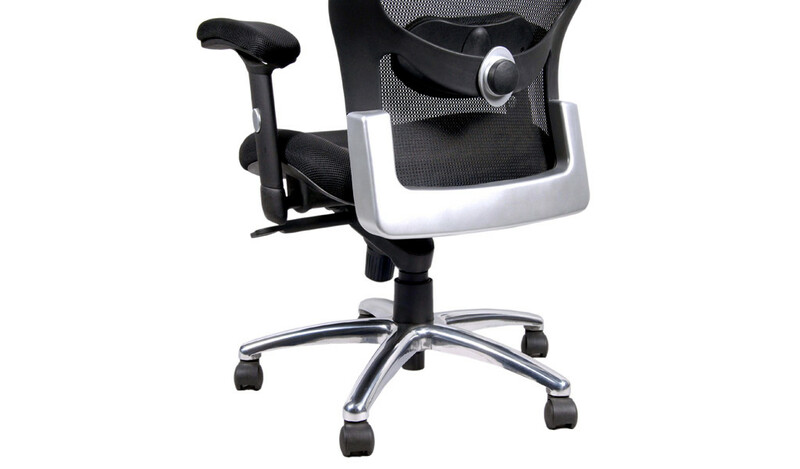 Conceived and built by an award winning design team, the avant garde Anyways series offers other office furniture too. 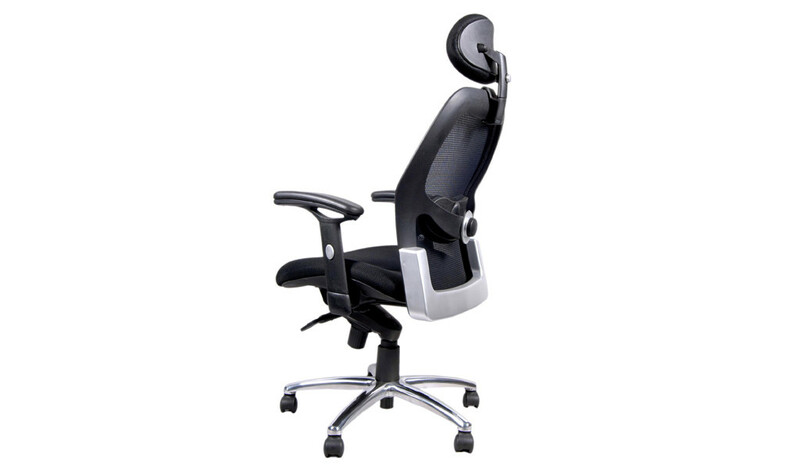 You can in fact coordinate and furnish your entire office with this design range. Go to our catalog section to download the complete catalog.